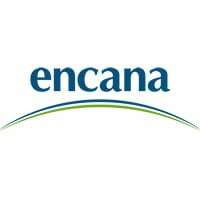 Calgary-based energy giant Encana reported Thursday it has net earnings surpassing $1 billion for its fourth quarter and year-end. In a news release, the company, which just last week laid off an undisclosed number of employees from its Calgary corporate office, said net earnings for its fourth quarter of 2018 were $1.03 billion compared to a loss of $229 million in the fourth quarter of 2017. For the year, net earnings reached $1.07 billion compared to $827 million in 2017. 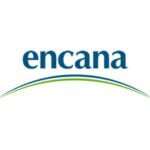 At year-end, Encana had more than $5 billion of total liquidity including approximately $1.1 billion in cash and cash equivalents on hand and $4 billion available credit on the company’s undrawn credit facilities, it stated. “Encana delivered in 2018, posting another strong year of performance,” said Doug Suttles, Encana president and CEO, in the news release. The company said total production in the fourth quarter of 2018 was 403,400 barrels of oil equivalent per day, up 20 per cent year over year. Fourth quarter liquids production grew more than 25 per cent year over year, to 192,700 barrels per day. For the full-year, Encana’s production averaged 361,200 barrels of oil equivalent per day, of which 168,100 was liquids.